Home Companies Shenzhen Coming Technology Co., Ltd.
1. 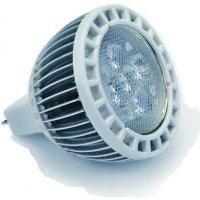 It can replace incandescent bulbs 20/25W and energy-saving can be up to 80%. 2. Strong heat-dissipation, adopt high-quality packaging, low light-decay . 3. Professional optical design, avoiding the flare, steady light, comfortable and pleasant. 4. Green power , no UV or IR radiation, low heat, high efficiency and ultra-brightness. 5. Long life of 50, 000 hours. It is quite suitable for decorative lighting, coffee house , bar, art galleries, museums, jewelry counter, fashion store, notebook computer store, hotels, Exhibition and meeting rooms, offices building and any other place which need energy saving and high color rendering index lighting, etc.